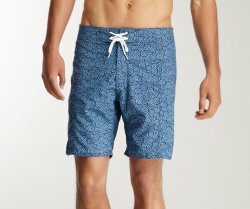 $8 Packing Underwear-Grab Bag Special! All styles starting at $8 per pair w/ our choice of underwear and packing insert. What a deal! We have a limited inventory of packing underwear. Cotton/blend boxer briefs, Trunks, briefs, or limited thongs or jocks in a variety of colors. These are items that we either no longer carry the style, brand, color or has our old label on it. They are not 2nds or defective in any way. All come with any one of our packing inserts. These are Grab Bag: meaning we pull (Grab) from our pre made items. We are closing out the Activeman line of Jocks of the styles we currently have. This is for both the Elite swim jock which has a contoured red or black pouch edged in black or red piping consisting of mostly cotton with a touch of Elastane to maintain shape, comfort and to provide a perfect fit. We have brought in a small supply of AussieBum Jocks as a test product. We have Med and Large, using our secure BulletBriefs inserts : Free Ball, Jock Pocket or a Drop C ring with or without a ball cage. Due to limited inventory, it will be our choice of color selection. If this is a good seller, we'll bring in individual colors/and all sizes. we have white, red, and blue. LG only available. Buffalo /Equipo Trunks- 2 pack-CLOSE OUT DEAL! Buffalo low-rise fashion trunks offer a secure, yet stretchy fit for a comfort you'll love. This item is for (two) 2 pair of underwear. Available in assorted colors of red, purple and blue. May not necessarily match the photos. As we run out of sizes/colors of Buffalo, we are back filling with Equipo brand.. See photos. Boxer Brief in some colors/sizes. Equipo not suggested for STP use as there is no fly. End of stock clearance. We have a variety of camo color blends in this modal fabric based short legged trunk. Super Soft and snug for you and your packer. Comes with your choice of packing insert by BulletBriefs. Check sizing by measurement as these are not sized in SM, MED, LG. Size up if in between sizes. Color choice is ours as we have limited stock, but if we have the color you request in stock in your size, we'll use. Limited sizes: Cannot re-buy this item. 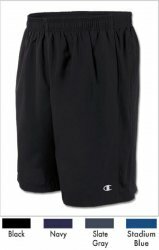 Quick dry flex shorts, has a boxer brief style short liner. We offer this short in Black and Blue in 4 sizes. We can add a TW Pack Right Harness sewn into the waistband or a Floater/Snuggler Style pouch for your packer to drop into. With the pouch, the packer is held securely with the pouch as a barrier between you and your skin. The TKW PackRight harness w/ ball cage keeps your packer secure, without a barrier between you and your skin. ______End of stock clearance!! Price Reduction! 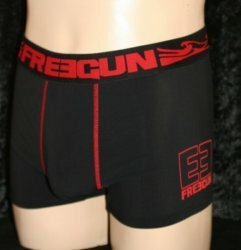 Great athletic styled boxer briefs by FreeGun. Uber comfortable cotton/spandex blend. These are slim fit, so when in doubt order up a size. Order by INCHES NOT BY SIZE you normally wear. They come with a choice of inserts by BulletBriefs to keep your packer secure and feel confident while packing. Limited stock: XLG only: We can't find inventory to purchase, end of stock. We have XL only remaining of this great swim trunk.Square cut swim shorts from Freegun. High quality swimwear with a wide, comfortable waistband. Available in black with color accents. 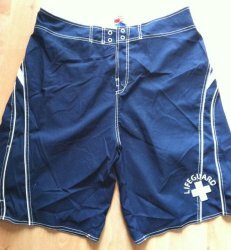 Wear alone or under your board shorts or gym shorts for secure packing. End of stock-limited sizing. 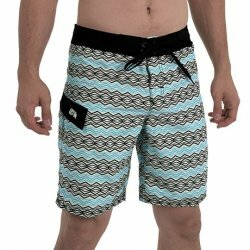 Beach bum to god of the waves, Gotcha's geo-print boardshorts are a funky-fresh way to spend a day in the surf and sun; the quick-dry fabric sports a brushed finish and a horizontal wave print that's like, totally tubular. Here we have a Huck packer in Rose Caucasian, the shaft/head are perfect. The balls lack a full sac. The pour was lite when silicone was being poured into mold and did not fill the ball area. It actually sits great against your body for a natural bulge and looks great in packing boxers using the C ring in our BulletBriefs inserts, especially the Jock Pocket. Comes with bonus container of Cyber Packer Dust. Joe Boxer new Performance Athletic Boxer Briefs- Dri-fit, spandex blend. 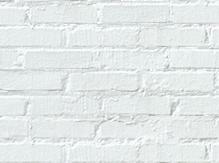 We are having a hard time getting these consistently, so it is our color choice. List your first and second choices and we'll pull if we have in your size. Sold as one pair. Sent by mistake. Our loss your gain. These sell normally for $15.95 without packing insert, you can pick up this great jock for $9.95 with insert. We have a limited amount in SIZE SMALL ONLY . We have some of Pre Drilled STPs that were ordered by a store and they failed to complete the order. So we are listing as available. This is a packer that has a straight shot perfectly drilled for STP creation. We pre drill it , leave a straw in place to allow you to put whatever STP Set up you choose into the drilled tube. The straw holds the tube open or it will close around itself if we didn't leave something within the packer. Close out Trunk: Remaining stock Offered by Tranzwear with inserts made by BulletBriefs! Limited stock of new bright colored athletic styled low rise trunks by PL>Y! Sold as a two pack. You'll get one solid, one striped in blue. You can choose any of the inserts made by BulletBriefs. Jock Pocket, Free ball or Drop C ring with or without ball cage. End of stock Trunk by fun underwear company PL>Y!! Athletic styled low rise trunks by PL>Y! Sold as a two pack. You'll get 2 pr in solids, blue, black or red our choice, due to minimal stock levels of size/color. Clearing out the shelves: High quality boxer briefs. Regular priced with insert was $22.95 now listed for $14.95!!! This boxer brief from Polo Ralph Lauren features 100% cotton, a contoured front opening to show off your packer bulge, and a stretch waistband with Polo Ralph Lauren logo. 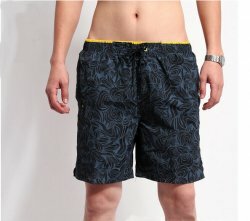 End of stock-limited sizing Great new brand of quality board shorts. Limited supply! SHEATH UNDERWEAR is the underwear with a functional pouch (crotch pocket) for your packer, we add a drop C ring to add security. 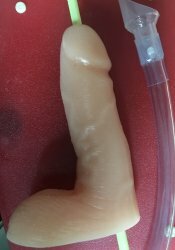 The SHEATH isolates the packer from the inner thigh region. Try SHEATH. No operating fly, no STP use. We will attempt to keep carrying this line by obtaining new stock. Until then, we are offering our current stock at excellent pricing. Retail price on the Sheath site without our insert is $20-$30. Starting at $25.95 for Cyclone 3.5" Limpy!! We had some pre-made STP's from this past year. To clear our shelves, you get good deals for a STP that is perfect as is, no defects, just helping us clear the shelves. We'll pull styles off the site as they sell, not all styles sizes available. Currently we have a variety of packers for these STP.s using Mr Limpy, Prices marked $3-$5 lower than our already low sale prices on our packer based STPs we sell on the site. Only Size 38 remaining. Comes with a TKW PackRight Harness with a C ring. Due a velcro fly, so we cannot sew a pouch due the trunks opening in the middle.